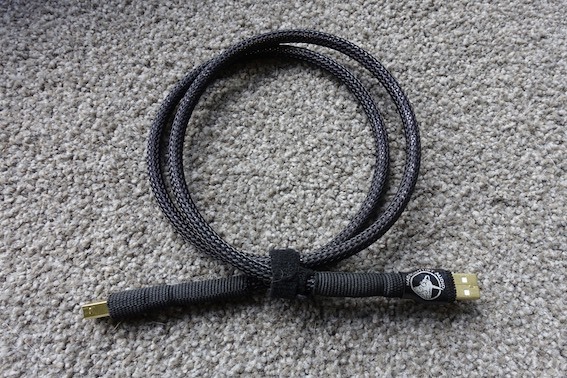 RICHARD VAREY finds modern day alchemy at Mad Scientist Audio – and the Heretical USB interconnect is not too bad either. The mad scientist who inhabits the world of movies and comic books lives outside the orthodoxy, driven by a belief in a great outcome, tenaciously experimenting to find the way, always undauntedly ambitious and hubristic. (They’re also usually portrayed with unsettling personality, as insane, eccentric, clumsy). On my audiophile journey, could I have encountered such a man? There is a mad scientist of another kind who resides much closer to home in the New Zealand audio products landscape (near New Plymouth, to be more exact). Mad Scientist Audio is run by Bob and Kay Prangnell and their ‘unusual’ team, and specialises in ‘unique’ handmade audio products – interconnects, power chords, footers, and enhancers and tweaks. How did I come to meet this man? Over the past nine months I had given up on noisy USB connection between my PC and DAC in favour of Ethernet connection after auditioning a few media players based on the Raspberry Pi single board computer and onboard DAC. I found the sound quality achievable with the I2S coupled boards superior to my DAC connected to my PC through the USB ports. Then, in my search for interesting products, I saw a recommendation for some system enhancers, and was delighted to find them nearby, as I am a fan of local artisan makers. Curious to know more about the Mad Scientist Audio ethos and product quality, and especially if I could enhance my music experience even further, I enquired and was offered a Heretical USB interconnect for audition. This cable has changed my mind again. Having lived with the Mad Scientist (not in person, you understand!) for a few months, I am now primarily listening with an Etalon musicStream connected to my StyleAudio Peridot DAC using the initial version of the Heretical USB interconnect that was on offer at the end of last year. What’s the value proposition that attracted me? The Heretical-USB uses a separately screened wire pair capable of 10x the USB 2.0 data rate (5 Gbits/sec). 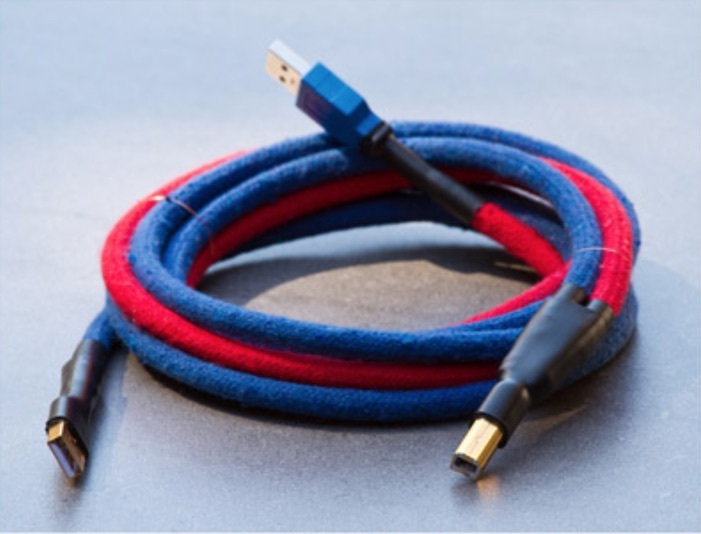 It also uses some tuning to adjust the characteristics of the cable – it’s this tuning that gives 90 percent of the benefit of this cable, I was promised. The shields are connected in a non-standard way, to improve noise performance and RF rejection. Construction quality is excellent. In the past few months, further work has resulted in considerable improvement to the basic design, so a high-end version, the ‘Black Magic’ is now available for US$379-$399. The Mad Scientist himself, Englishman Bob Prangnell, a longtime audiophile, told me: “We’ve had a few people who used the Heretical USB who have now tried the Black Magic and everyone is raving, so I’m really pleased. It looks a little different as well”. I was once again curious about what is on offer. Do USB cable materials and constructions have an audible effect on sound quality or character? It’s a source of strong arguments – and often heated exchanges – among many, with strong advocates on both sides. My approach as a long-time hobbyist, and now also independent reviewer, is that I seek out novel ways to achieve a euphonic music listening experience. To me, competition for the best is pointless. I enjoy discovering artisan ingenuity and unorthodox ways of creating worthwhile products. Effectiveness and fair value for money are what count. Products must be affordable and make music listening better. With the Heretical USB in my system, I have been happily indulging in some deeply enjoyable and extended music listening. I have no particular desire to switch back from USB connection for my digital files playback. The other samples sent are BlackDiscus audio system enhancer discs and bars – they were the first product developed. These are, on inspection, seemingly a mix of magnetic and resin materials that disrupt the magnetic field at a plug or around a cable, to reduce noise and enhance stereo image. They have the electric and magnetic fields ‘baked’ into them using a process that uses 30kV electric fields, among other things. From unrelated research, this makes a non-linear response such that audio frequencies are affected much less than higher (i.e. radio) frequencies. They work amazingly well on some systems, and hardly at all on others. Also notable is the novel use of flexible carbon fibre and Graphene in other interconnects, and BlackPod footers using Graphene, carbon nanotubes, tungsten carbide, and zirconia ceramic balls. I also like the idea employed in the Ground-Breaking USB interconnect. 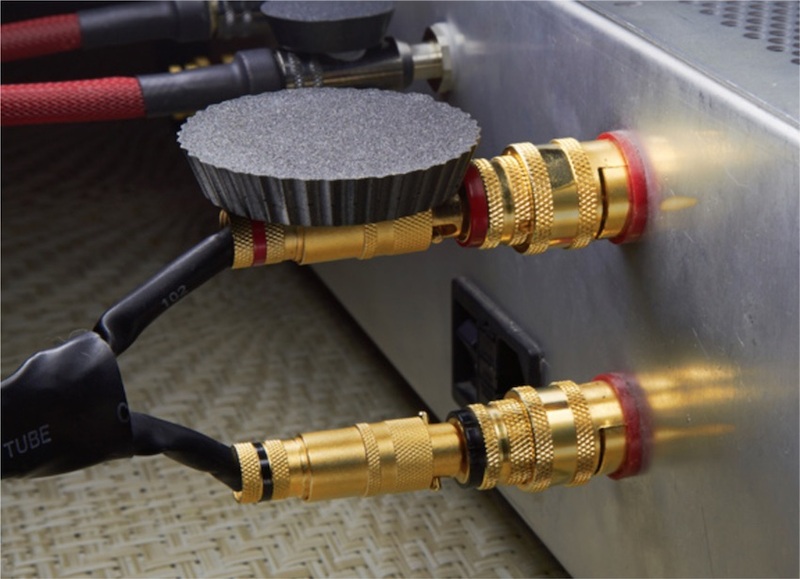 Tiny switches are used to disconnect the ground wire between source and destination. What value is on offer from these unusual products, other than local sourcing, personal contact with the artisan producer and the novelty? It’s the use of materials and techniques to which I don’t have reasonable access. It’s also the sharing of the expertise that has brought these products into existence. Is this audiophile mad scientist a genius or even a scientist? Boffin or crank? He told me he is educated as an electronic engineer and was a software engineer by profession. I don’t see any megalomania here, I see modern day alchemy – physics and chemistry applied in purifying, maturing, and perfecting material audio enhancements. The credibility of these unabashedly ‘heretical’ products is not about proving theory or explaining why and how, but about audible effects. So, of course, the proof of his products is in the hearing. The products are offered with value propositions. Whether or not they are credible and the offers are to be accepted or declined is for each of us to work out for ourselves. I’ve intentionally not read other reviewers’ comments so as to not be drawn into their response to these product offerings. I want, as always, to make up my own mind. I’m deeply accepting of the absence of being assailed with so-called objective data as if it somehow overrides my personal emotional assessment and musicophile evaluation of contributions to my subjective discomfort and pleasure. I know from more than 40 years experience, that music listening is an entirely subjective experience. I don’t need tables of numbers referring to some other abstract concepts to tell me whether or not I like what I’m hearing. I rely on a highly sophisticated and experienced evaluation tool which I call critical listening. It works very well for me. I know what I like, and I know when promotional claims are hyped and they and my reality clash and diverge. Am I drawn to (some of) the Mad Scientist Audio products because I’m a mad scientist myself? I do have university degrees in physical and social sciences, and I’m also a Doctor of Philosophy. Throughout my career I’ve been described as maverick, radical even. I favour true innovation through unorthodox pathways. What I have found in engaging with the Mad Scientist of audiophila is a refreshingly pragmatic, experimental way of increasing enjoyment of music reproduction, without the hard face of engineering and supposed objective proof. The Mad Scientist sells direct to users, so because extended auditioning before purchase is not available, a 30-day money-back guarantee is offered on all of their products. The ideal of extended auditioning in your own system and listening situation is open to all who, like me, are curious. There are (far too) many (discomforting, maddening even) ‘magically scientific’ interconnects and accessories with exotic prices out there. Whatever the ‘mad science’ employed here, this way of producing viable hi-fi products at this price is worth investigating. I’m enchanted by the charm, and I like the way the product works, too. Count me in.